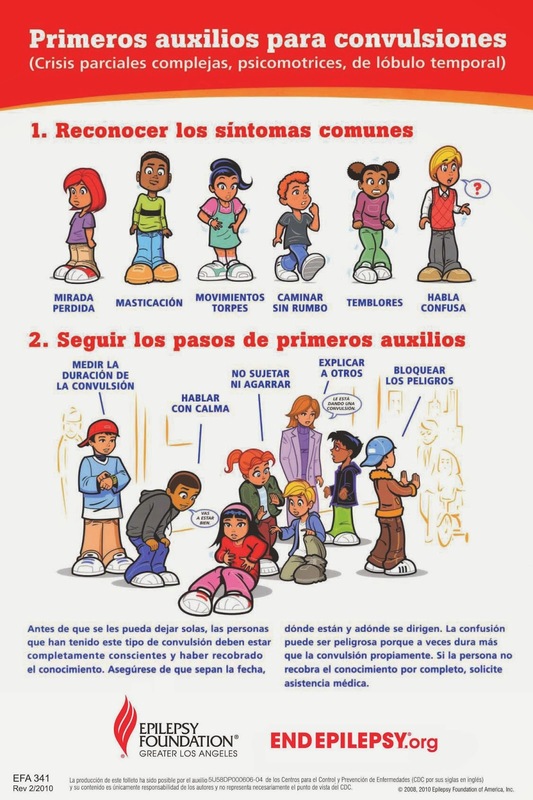 This bilingual poster, courtesy of the Epilepsy Foundation of Greater Los Angeles, is well worth sharing. 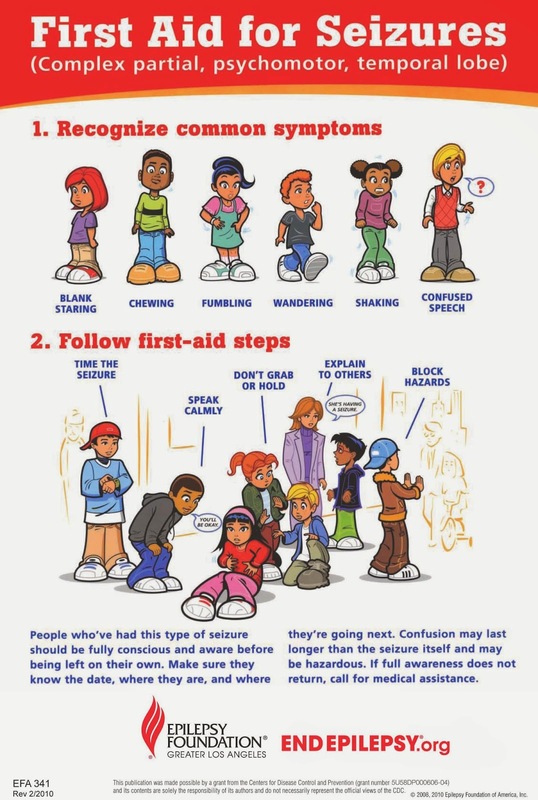 It's important to know it is okay to talk about epilepsy, it is nothing to fear and neither are seizures. 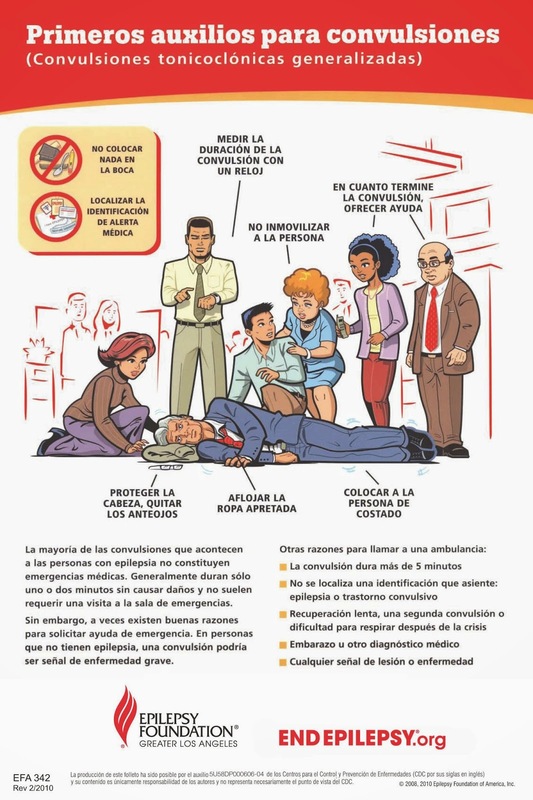 It is okay to help and these posters let us know exactly how we can help. 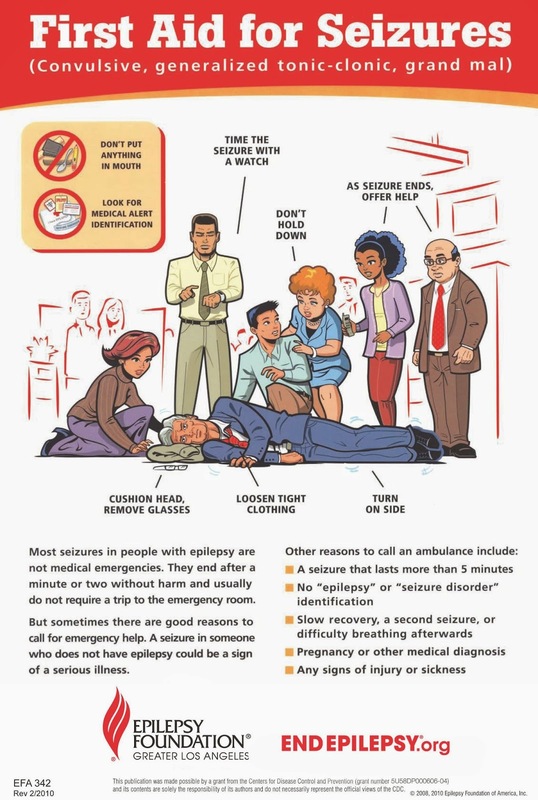 I would like to add: do not make assumptions about the reasons for the seizure. I will never forget overhearing people talking about Robert while he was having a seizure and making the assumption he had overdosed on drugs. That experience was more than 30 years ago so I do hope people are much more educated about epilepsy and seizures now. Let’s spread this information just in case! Click on the link or on the pictures to print or share!